Happy Wellfie Wednesday folks! Welcome back! This week’s tip is to Know Your Sodium Intake. Research strongly supports the reduction of sodium within your eating pattern for safer blood pressure levels and risk reduction of heart disease and stroke. Approximately 80% of the American population consumes well over the recommended daily intake of 2,300mg, our intake averaging more than 3,400mg/day. And for those individuals with high blood pressure, hypertension, the recommendations are far less at 1,500mg/day. Sodium intake can be deceiving because a majority of it doesn’t come from the salt you add at the table, but is the amount found in the foods you eat, most notably processed foods. 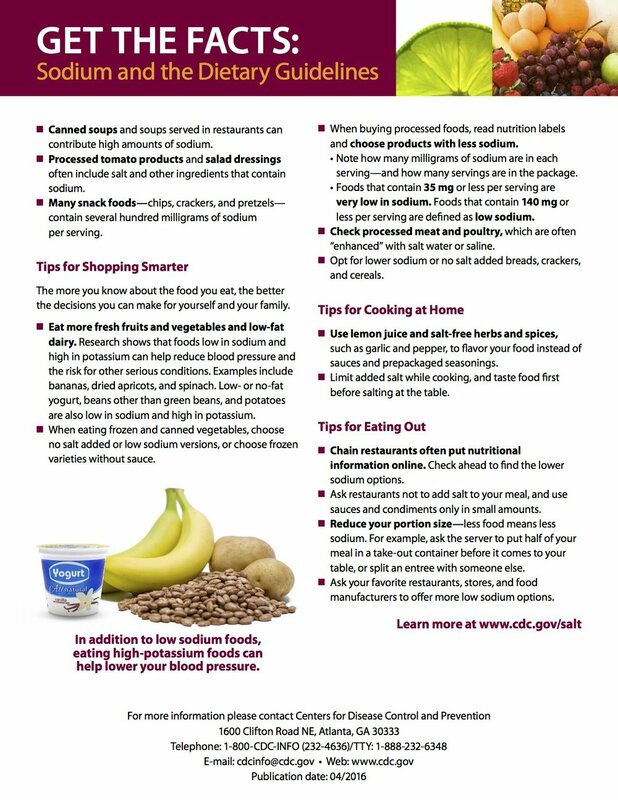 Check out the infographics below from the CDC and the American Heart Association on how easy it is to consume too much sodium and how to make healthy swaps. Our suggestion this week is to become more aware of your sodium intake and more conscience of your health. Remember hypertension is “the silent killer” so best to be proactive. Go ahead and give the USDA SuperTracker a try or even just myfitnesspal and see where your daily sodium intake is. Based on that, start thinking of ways you can make small changes to your eating pattern to reduce the sodium. Reducing processed goods and consuming more plant-based foods is a great start!